The Internal Revenue Service (IRS) may put a lien on your property or garnish your wages or bank accounts in order to collect taxes. The law office of James D. Jackman, P.A understands the emotional and financial struggles associated with tax liens, tax levies and other complicated tax issues. Our law office has dedicated its time, talent and resources exclusively to Chapter 7 or Chapter 13 bankruptcy representation. Since 1986, the law office of James D. Jackman, P.A. has helped individuals resolve their tax issues through well-drafted bankruptcy petitions and thorough case evaluations. We understand that in many situations, income tax and franchise debt can be discharged with Chapter 13. 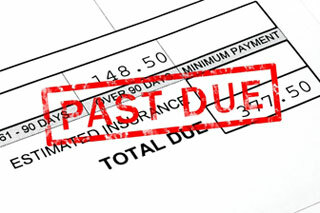 Our ax debt attorney can evaluate your situation from every angle to determine if your debt is dischargeable and which factors would make it dischargeable. In Chapter 13, the last three years’ worth of income tax is not dischargeable. However, you can put your tax arrears into your repayment plan, which would provide you three to five years to catch up. You may also obtain a zero percent interest rate with the IRS. Our law office works with the IRS on a routine basis, as well as the Department of Revenue and local taxing authorities. We have experience handling complex tax issues associated with bankruptcy. We are dedicated to helping you resolve your issues.